Tourism experts are warning Thailand to change demographics and tourism interested as aging populations travel at an older age and younger generations choose more unique and experience-based destinations. Additionally, tourists are increasingly looking to cashless payments and real-time on demand service. Chinese tourists, usually from the younger demographic, expect basic services such as WIFI & social media access. The market however, remains huge, but experts are warning that the emerging economies of Muslim countries in the Middle East, India and South Asia will see larger numbers of tourists from those areas. The Land Traffic Management Commission has met to discuss ongoing transportation projects; the Cabinet has approved a draft of the Royal Decree for the implementation of the construction of the 58.5% km, light rail tram route in Phuket, the line which will run from Tha Noon in Phangnga to Chalong intersections in the south of Phuket and will see the MRTA build the first phase from the new Phuket Airport to Chalond Cirlce with 24 stations. The Cabinet also approved the draft of the Royal Decree for development of 3 tram lines in Chiang Mai, whilst the commission approved the master plan of Nakhon Ratchasima's light rail project with 3 routes, and the implementation of the first phase of construction of light rail in Khon Kaen. The Commission has authorized the MRTA to handle the development of light rail in Phitsanulok and endorsed a 3km expansion of the Pink Line to Muang Thong Thani and a 2.6% km expansion of the Yellow Line to link the Green Line at Phahon Yothin. The committee also approved of the construction of a new 9.8 km long road along the Chao Phraya River in Nonthaburi to ease traffic congestion, construction is expected to take 2-3 years. Thailand has climbed two places up the World Economic Forum's Global Competitiveness (covered by our Parent company Sutlet Group) to 38 out of 140 in 2017. The financial system placed particularly highly at 14th due to "availability of capital, credit services, variety of financial products, financial risk diversification, financing of SMEs and the soundness of its banks." The country came in 18th for its market size in large part due to the strong accessibility of its markets for foreign and domestic companies. The Global Competitiveness Index measures national competitiveness that is the set of institutions, health, financial systems, market size, business dynamics and innovation capability but saw the score fall from the previous year labour market and product market. 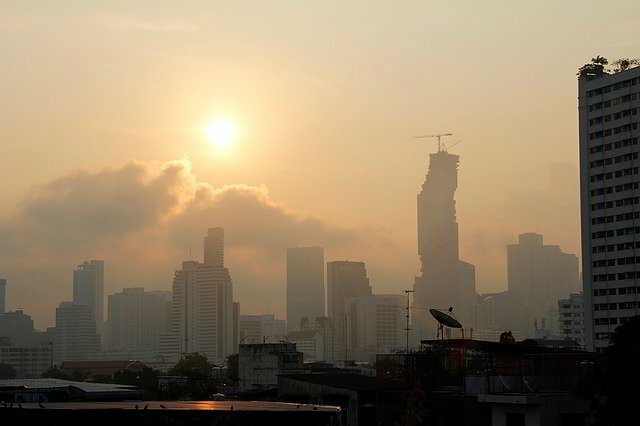 Thailand boasts a low rate of unemployment and a tight labour market.